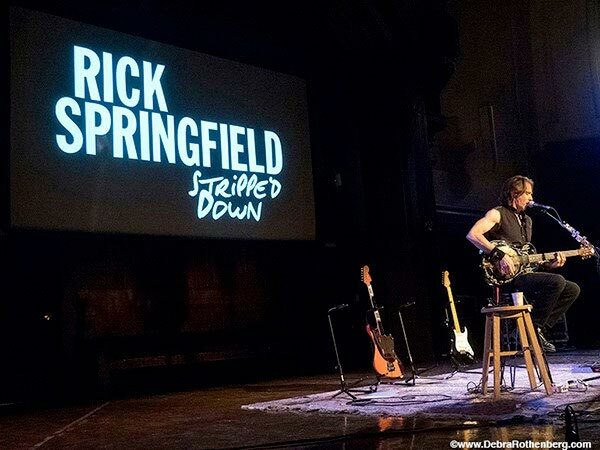 Rick Springfield Gets "Stripped Down"
No matter how many hits he’s had throughout his career, Rick Springfield will always be associated with the ‘80s – a period in which he portrayed Dr. Noah Drake on the hit soap opera, “General Hospital,” while topping the charts with “Jessie’s Girl.” But that’s only part of his story. In the past 10 years, Springfield has released three albums of new music, another featuring lost demos and another with songs created for children; he’s published his autobiography, “Late, Late at Night: a Memoir,” and “Magnificent Vibration: A Novel;” and has had several acting roles including Showtime’s “Californication,” the feature film “Ricki and the Flash” and CW’s “Supernatural.” In 2014, he was honored with a star on the Hollywood Walk of Fame. With a new album (“The Snake King”) coming out on January 26th, it’s safe to say Springfield’s story is still being written. 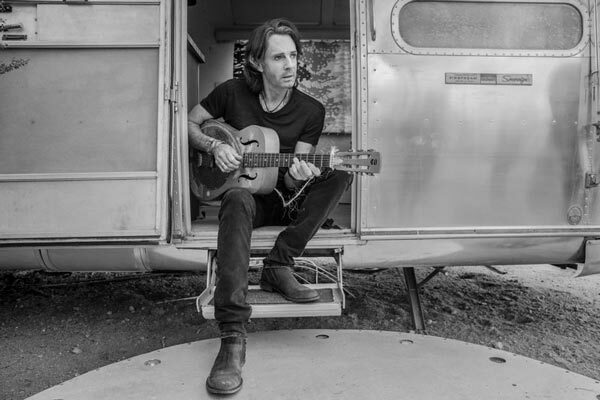 You can hear songs from throughout his career along with tales from the artist himself in a special “Stripped Down” acoustic performance at Mayo Performing Arts Center in Morristown on Saturday, January 6th. When the songs are performed in the “Stripped Down” fashion, Springfield says the lyrics move to the forefront. Some of his most popular hits turn into sing-alongs, but the show is more than just his regular concert done acoustically. The stripped down version includes some songs that he only performs in this unique setting. Springfield, who was born Richard Lewis Springthorpe, grew up in Melbourne, Australia. In the ‘80s, he had over a dozen songs reach the Top 40 in the USA between “Jessie’s Girl” in 1981 and “Rock of Life” in 1988. While the former has become something of an anthem for the decade, many of his other hits have received far less radio airplay over the years. Fans will likely hear some songs they haven’t heard for years, and some they’ve never heard before. One person who has seen hundreds of concerts over the years is Debra L. Rothenberg, a professional photographer born and raised in New Jersey who lives in New York City. She covered one of Springfield’s “Stripped Down” shows and not only stayed for the entire performance, but said it one of the 10 best shows she had ever seen. Springfield’s upcoming album is a bit darker than most of his catalog. It dives a bit into the blues on a few tunes and rocks out on others. It’s one in which he gets the opportunity to showcase his underrated guitar skills. While he doesn’t plan on playing any of the new tracks in Morristown, the acoustic setting still give him a chance to show off his guitar chops. The show on Saturday is the only area appearance on Springfield’s schedule as of yet. In addition to shows across the country, he will be the official host and musical captain of The 80s Cruise from Fort Lauderdale to Nassau, St. Thomas, Tortola and Coco Ca that takes place in March. Along with original MTV VJs Nina Blackwood, Mark Goodman and Alan Hunter, the cruise features performances by 80s bands like Loverboy, Mike + The Mechanics, Berlin, Lou Gramm, Billy Ocean, Thomas Dolby, Tommy Tutone and more. The cruise also includes performances by the ‘80s band, Jessie’s Girl. In addition to releasing a new album, Springfield continues to act and further his writing career. He enjoys playing roles that go against the image people have of him such as his takes as a twisted rock star, a messed up psychiatrist, and a demented preacher who kills people. He said he’d love to return to Broadway someday, but would prefer to tackle it from the writing side. Springfield was never an actor turned musician, he was always a musician who acted. Looking back, his success on “General Hospital” both helped and hurt his career in major ways. It led to a generation of female fans, but it likely hurt his credibility as a rock and roller on the male side. 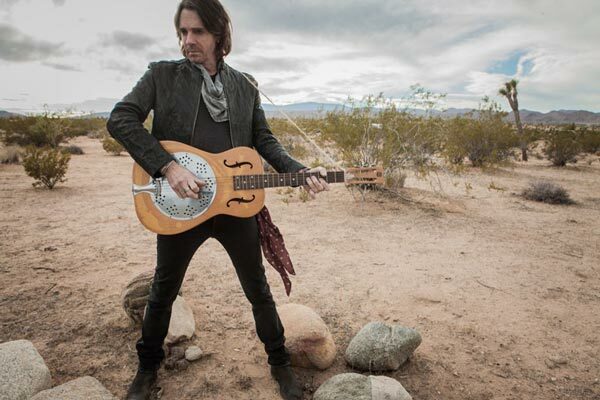 To get a much better feel for Springfield’s career, be sure to catch his “Stripped Down” show at Mayo Performing Arts Center. You’ll learn the stories behind the songs and get insight into the life of a talent artist who has faced lifelong battles with depression, fear of failure and self-doubt. You’ll hear songs which may have been part of the soundtrack to your own life, while leaving the show feeling a little closer to his own.